And just like that a Christmas tradition was born! 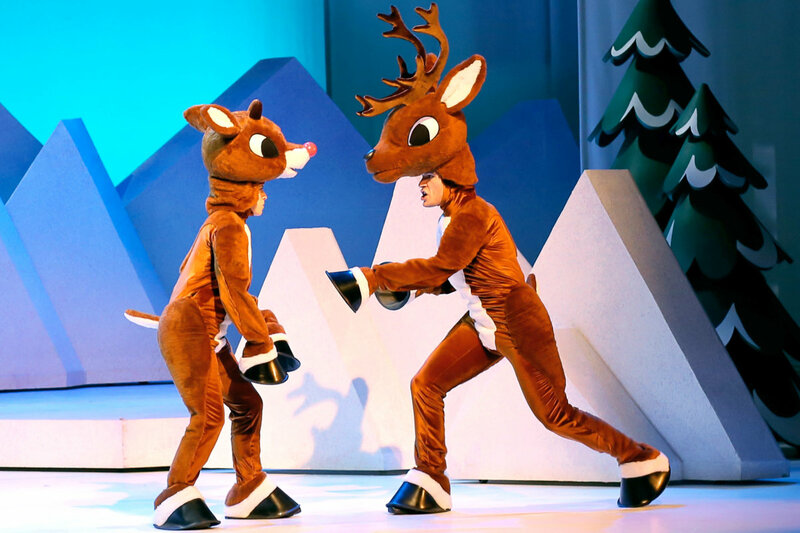 Colors and Christmas spirit swirled the Fabulous Fox Theatre as “Rudolph the Red-Nosed Reindeer the Musical” took the stage. This new holiday tradition took a classic and made it BETTER!! 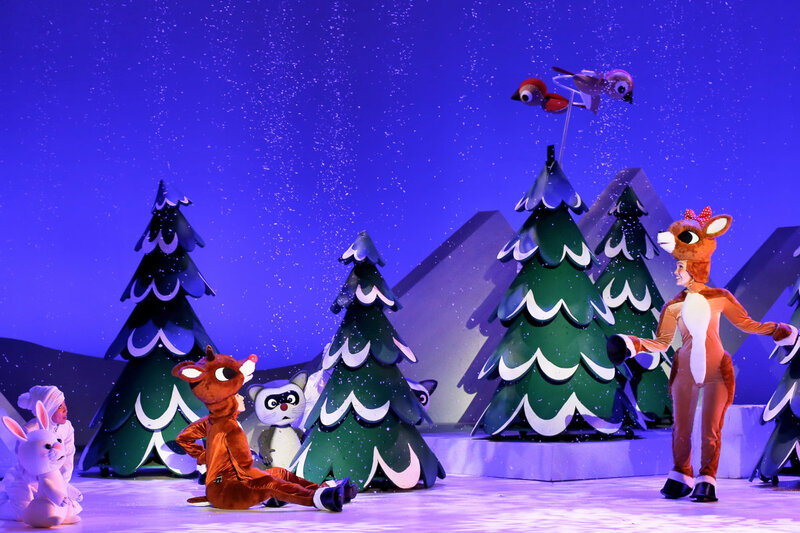 Based on the Rankin-Bass animated television special from 1964, “Rudolph the Red-Nosed Reindeer the Musical” the stage production was directed and conceived by Jeff Frank and First Stage, with the script adaptation by Robert Penola and orchestrations by Timothy Spain. This holiday classic was alive with all its original characters, Santa and Mrs. Claus, Donner and the other reindeer, and finally Rudolph, Clarice, and Hermey. Hermey was shunned as he revealed that his true passion was dentistry and not making toys, about the same time as Rudolph was expelled from the reindeer games for his non-conformity. As Rudolph and Hermey the Elf take off on a memorable journey through Christmastown they teach the young and the young at heart to embrace their differences. 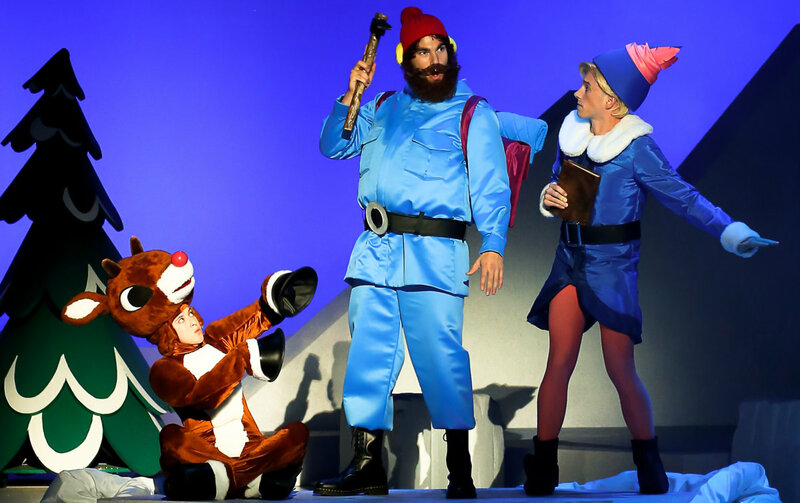 On this journey they meet Yukon Cornelius, who is a bit different himself, searching for silver and gold, and a fun gang of unique friends on the Island of Misfit Toys. Accompanied by white cloaked puppeteers, these characters came to life with such finesse it was like watching the original Claymation in real time. Along this magical journey the cast serenades us with the classics like We’re a Couple of Misfits, Holly Jolly Christmas, We are Santa’s Elves, and with crowd participation Silver and Gold, and Rudolph the Red-Nosed Reindeer. This could easily become a holiday tradition for any family. It was a GREAT show. I give it 4.5 Stars!